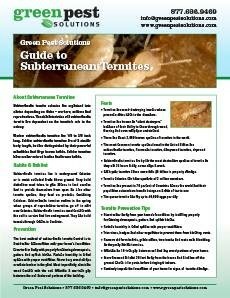 What Pests Survive the Winter? While homeowners may not look forward to the winter heating bills, the winter does represent some relief from pests. Rodents tend to be a problem, but many other pests die out over the winter, hiding their eggs so that their DNA can live on. But not all Insects die. Some live on, finding places to hide or hibernate and waiting until the weather warms up. The following are some examples of scurrying creatures that survive the winter. 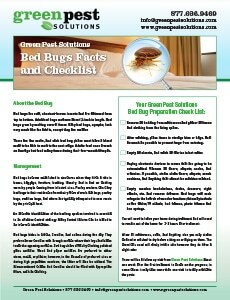 Bed Bugs – Bed bugs only live inside of the home, so cold weather does nothing to them. 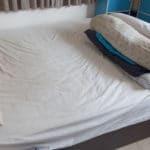 Indeed, holiday travel is one of the most common causes of bed bugs infestations, and while the cold air can hurt bed bugs if they are found outside, once inside the bugs are able to easily keep warm and will not have problems surviving. Cockroaches – Interestingly, most cockroach invasions are actually due to colder weather because the roaches seek warmth inside of your home. So you may have a cockroach invasion because of winter. But outdoors, cockroaches still survive through hibernating. If you had a cockroach problem before winter, chances are you’ll have one right after winter is over. Termites – Termites do not usually spread out in winter, but if they are already eating your home they will continue to feed in the colder winter months. 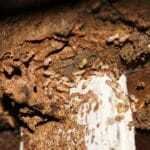 Termite damage may slow, but it won’t stop, so termite invasions still need to be dealt with. Red Fire Ants – You won’t have to worry about fire ants biting you over winter, but that doesn’t mean they aren’t surviving. Fire ants burrow deep within the ground where it’s warm, and wait until the weather heats up to go back to foraging for food. You can’t outlive a fire ant colony simply waiting for winter because the burrows are so deep that survival is almost guaranteed. As mentioned earlier, all insects will also leave something behind for spring, whether it is an egg sac, a nymph, or hibernating adults. Once it starts to warm, these insects will go back to invading your home and bothering your family. 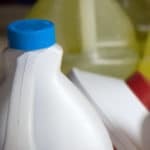 The best thing to do is use preventative and immediate pest control. 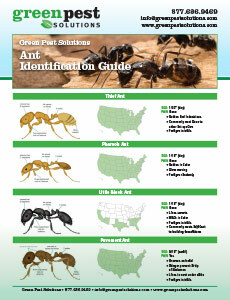 Contact Green Pest Solutions today to find out some of our best rates and effective solutions. 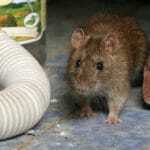 Eggs and egg sacs really are the silent killer in terms of pest infestations. Thanks for the tips. I completely agree with Brian , they indeed are silent killers. But more to this i think they survive because of their ability to shelter themselves in every conditions.